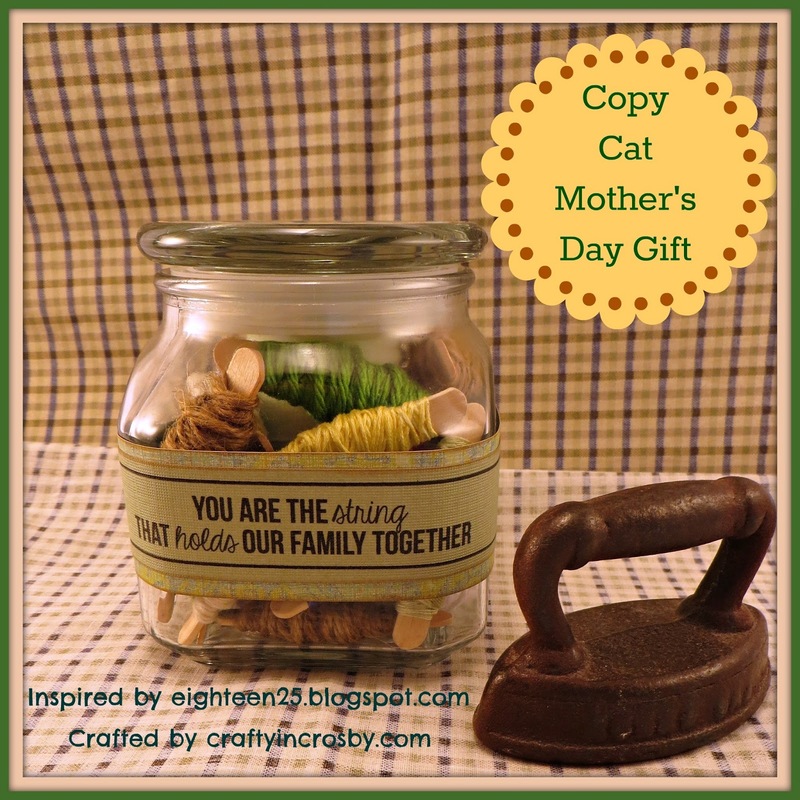 Last week we put together our Pinterest inspired Mother's Day Crafts and Leigh's favorite was a jar put together by Eighteen 25. She came over last Sunday and we made one for her Grandma - hope she doesn't see this post until after we give it to her!!! We got most of the supplies from Wally World and lucked out because they had embroidery floss on clearance for .10 a skein. The floss is wrapped on small craft sticks (also from Wal-Mart). I would have loved to use the large peg clothes pins like Eighteen25, but they didn't have them and it was Sunday so Hobby Lobby was closed. We also used some white and cream cotton yarn and twine to help fill in. Leigh just about wore her fingers out twining the floss around the craft sticks, but we both just love how adorable it turned out. It will look great in my Mom's craft room. Thanks so much to Jamie, Jodie and Jennifer of Eighteen25 for the great inspiration!! Thanks for dropping by today Julie! Can't take credit for the idea - but we did make a great copy!! Hope you have a wonderful Mother's Day! 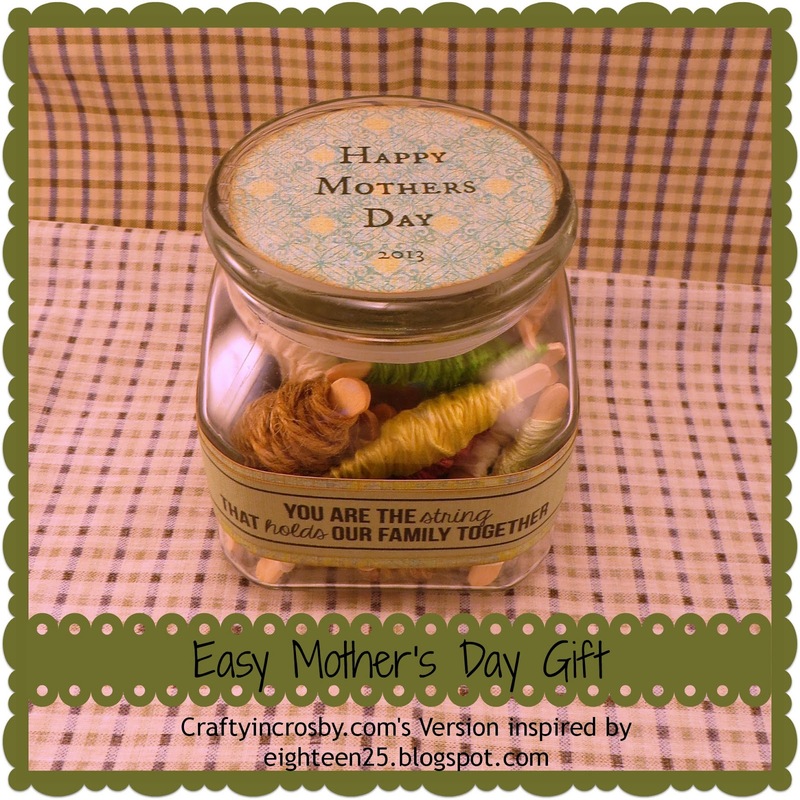 Your jar turned out so cute. Thanks for sharing!! Thanks Jamie for the great inspiration! Happy Mother's Day! Hi Jeanette! Thanks for stopping by my blog earlier and following and do the same back! What a great project! Happy Mother's Day! 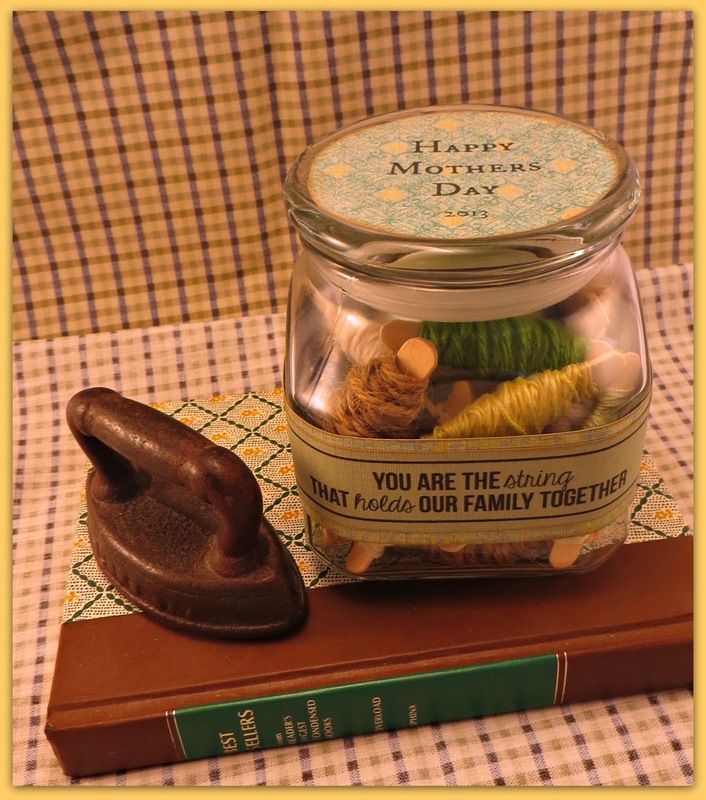 Hilda - hope you have a wonderful Mother's Day!